Situated between the Caribbean Sea and the Atlantic Ocean, Barbados is one of the wealthiest and most developed countries in the Eastern Caribbean. 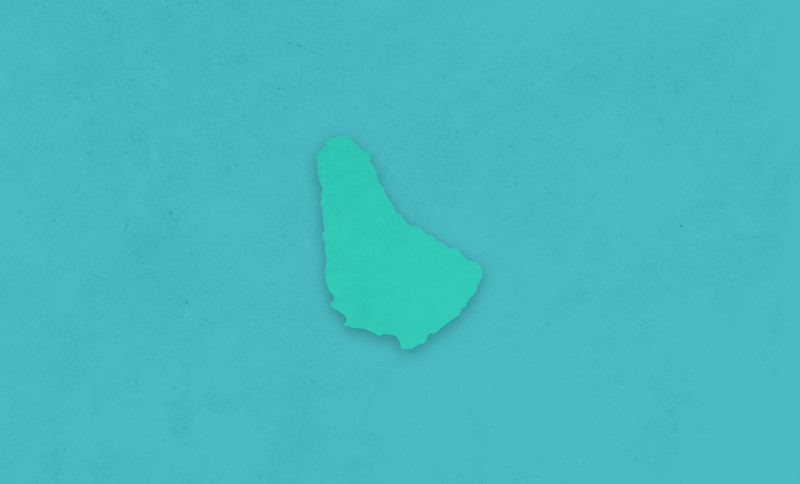 With a population of just under 300,000 and covering an area of 166 square miles, Barbados is also the most densely populated country in the eastern Caribbean. While historically the economy of Barbados was dependent on sugarcane, rum, and molasses production, in recent years the booming resort and tourism economy has boosted employment and the general economic circumstance for the country as a whole. Employment in manufacturing, agriculture and the service industry have grown in economic importance due to tourism. This in turn improves the readiness of the country to enhance healthcare access to their citizens. The government of Barbados has prioritized offering quality, affordable health care accessible to all Barbadians. Primary care is delivered through community clinics located throughout the country, while secondary and tertiary care are available at the country’s main public hospital. While the medical system in Barbados is overall very strong, WPP is focused in helping them in specific pediatric specialty care which requires high cost medical hardware, equipment, and supplies that otherwise are currently not accessible to local surgeons. And without ongoing access to the expensive hardware the local doctors need to treat the pediatric population they can't develop the skills they need for optimal outcomes in certain conditions. WPP is helping them shore up these areas, taking care of the backlog of children needing surgical intervention, and setting the course for caring for their own children in the future. Currently WPP is focusing on assisting in the areas of complex orthopedic spine and orthopedic general surgery and cochlear implant surgery. WPP mobilizes pediatric specialty teams annually to address advanced medical care need for children in Barbados. For patients requiring more complex or urgent surgical care, WPP coordinates treatment through a network of United States and international partner hospitals. An average of 8 children from Barbados receive services through this program each year. 7-year-old Rakayla before and after surgery at Shriners Hospital in Philadelphia. The effectiveness of WPP programs are strengthened through partnerships within the country and with other organizations committed to the goal of improving access to advanced specialty care for the children in Barbados.